Explore our recommendations for the best Colorado replacement windows from quality manufacturers and local window companies. Colorado is a varied states, with high elevations and low valley areas. It can be warm or even hot in the summers and cold, wet and snowy in the winters. Explore 3 quality window manufacturers that should be available throughout Colorado and are considered our best bets for the best Colorado replacement windows in the state. Amerimax is out of Loveland, Colorado and enjoys a solid reputation in the business for producing good quality vinyl products. They are at the upper range of vinyl prices, but with professional and thorough installation they should be an excellent investment. Their Aristocrat Casement Series is our recomendations if you are looking for quality casements or awning style windows. If not, their Craftsman Portrait window is the next best bet. Milgard is headquartered in Washington state, although it has a good reputation and is available throughout the Western states. Their aluminum windows are well made and not exorbitant in price, perhaps somewhere in the middle. Consumers can expect to pay $550 to $850 fully installed. Their vinyl windows are well made and, while not the flashiest products on the market, they will certainly get the job done without breaking the bank. The Milgard Tuscany is their middle of the road vinyl window and is a great value window. Alpen HPP is headquartered in Colorado and specializes in high performance fiberglass windows. The prices range is something like $60 per square foot for the 525 and 525S series, $75 per square foot for the 725 series and $90 per square foot for the 925 series. This psf cost is for the windows only, it does not include the window installation cost. The company took over the assets of Serious Windows, which manufactured fiberglass windows and was headquartered in California. 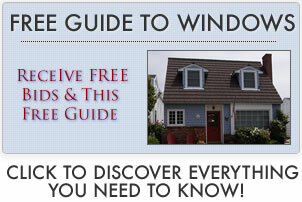 These windows are not cheap, they will be more expensive than say Marvin Windows.